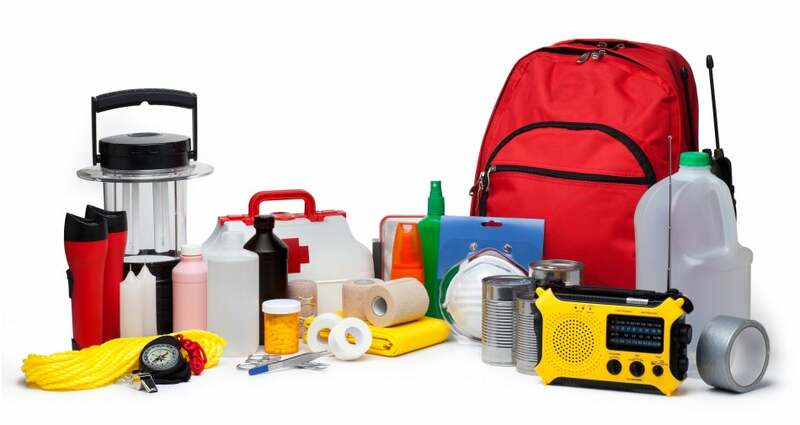 A disaster supply kit is a collection of basic items your household may need in the event of an emergency. You should have a kit at home and also at your place of work. At work, try to include a pair of comfortable shoes in case you need to walk to a shelter area. It's best to assume that in the event of an emergency or natural disaster, roads will be inaccessible by vehicles, and public transportation will be shut down. Additionally, basic services such as electricity, gas, water, sewage treatment and telephones may be cut off for days, even a week or longer. Your supplies kit should contain items to help you manage during these outages. Water, food and clean air are important things to have if an emergency happens. Each family or individual's kit should be customized to meet specific needs, such as medications and infant formula. It should also be customized to include important family documents. You can use bleach as a disinfectant (diluted nine parts water to one part bleach), or in an emergency you can also use it to treat water. Use 16 drops of regular household liquid bleach per gallon of water. Do not use scented, color safe or bleaches with added cleaners. Use this checklist from Ready.gov (PDF) to build your disaster supply kit.